Over-mowing: Are You Loving Your Lawn Too Much? Here at Soils Alive, we don’t mow your lawn, but we do make sure you have a great foundation (your soil) for a healthy lawn and landscape. We rely on you as our lawn care partner to take care of the proper mowing and other cultural maintenance. Often, when lawns are struggling, we find that over-maintenance is a problem. If you’re really into your lawn then you probably love the ritual of getting out the mower and trimming tools to perfectly manicure your property. Nothing like the scent of fresh cut grass. We get it! If you’re not into the mowing thing, then maybe you hire someone to take care of it for you. Either way, you could be mowing too much. Cutting grass too short does more damage than good. Short grass blades can lead to bare patches in the lawn, leaving it more susceptible to weeds and disease. You could also be accidentally mowing the crown of the grass, which then can kill it. A good rule of thumb is to mow up to 1/3 of the blade at each mowing. If you’ve skipped a couple of mowings, or weather has kept you from mowing, you can cut down very tall grass in increments. Mow it down to 1/3 its height at each mowing over a few days until it reaches the correct height. You’ll want to let your lawn grow a bit taller in summer. Grass that is slightly taller can better shade itself and the soil, which helps the lawn handle hot summer temperatures. This also helps conserve moisture. 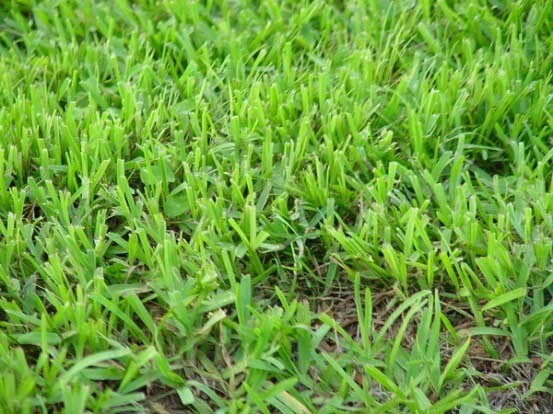 St. Augustine grass performs best when left to grow three to four inches tall. Bermuda and Zoysia grasses can be kept mowed to one to two inches tall.